Earlier this year, rumours surfaced about the possibility of Valve building and selling their own console. 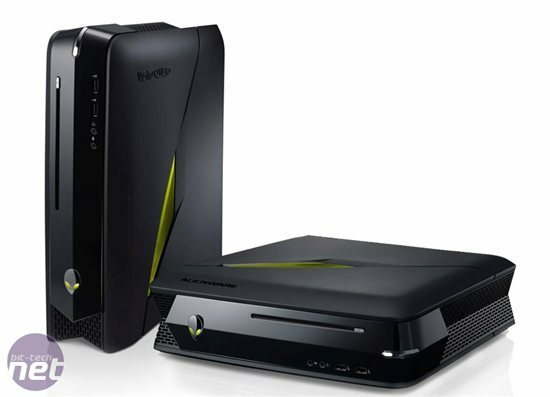 This so-called "Steam Box" would bring Steam games into the living room, taking the form of a small form-factor gaming PC that would look at home under your HDTV alongside your Xbox 360 or PS3. Those rumours were wildly unrealistic, swiftly denied and enormously exciting. While many PC games are indisputably better played at a desk with a mouse and keyboard, there are also plenty of games - Burnout: Revenge, Batman: Arkham Asylum (and City), Lara Croft and the Guardian of Light and both Trines, to name a handful - that play comfortably with a controller. More to the point, they don't need a hot, power-hungry graphics card to run. Why shouldn't we be able to play these games from the comfort of our sofas? So, now that Valve have officially stated that they're not planning on any sort of Steam-branded gaming PC in the near future, it falls to us, as custom system builders, to construct our own small form-factor, low-price, "good enough" gaming PC that'll fit snugly under our TVs. Let's start by examining a pair of systems that were both, at various stages of the story, labelled as potential "Steam Boxes", and see if we can pick up where the rumours left off. 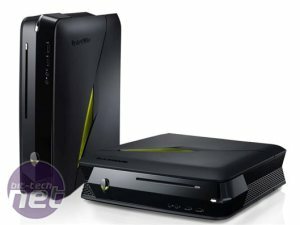 First up is Dell's Alienware x51, a small, powerful machine advertised as providing "big HD gaming without a big box". Conveniently, it was released at the start of February, shortly before the Steam Box Chinese whispers began. It was referred to in the original Verge article about Valve's console as being compatible with their hypothetical specifications of "an Intel i7 processor, 8GB of RAM and an Nvidia graphics chip". It's true that the top model packs an i7-2600, a GTX 555 and, yes, 8GB of RAM. It's also a wallet-shrivelling £900. More important for our purposes than the raw power of its components, though, is the case that they've been squeezed into. It's attractive enough, in a stegosaurus-meets-stealth-bomber sort of way that pleases my inner 14-year-old, but its best asset - for a PC competing with consoles for room under the gogglebox - is its sheer size. Or, rather, lack of it. It measures just 95mm (3.74") across its smallest dimension. 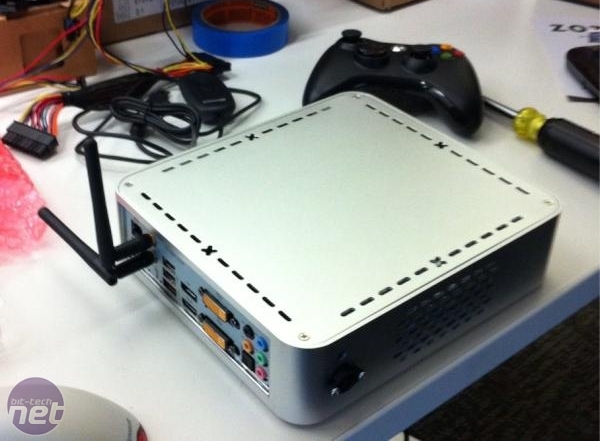 For comparison, that's slimmer than the original Xbox (at 100mm), and only slightly larger than the 360 (at 83mm). If nothing else, then, the x51 is a heartening proof-of-concept: it demonstrates that it's possible to cram a competent modern gaming system into a chassis that will sit on a small shelf, rubbing shoulders with a console. The next step, then, is to reduce that price tag. Let's look at another example system. While the rumours about the Steam Box were at their height, a resourceful internet detective dredged up an impressively small PC build that Greg Coomer, a Valve product designer, had tweeted about back in November. It was tiny, good-looking and - according to Coomer - ran "Portal 2 FAST". It too was rumoured to sport an i7 CPU, 8GB RAM and an Nvidia GPU. Unfortunately, we've nothing more to go on than that tweet and the accompanying photo. Time for some sleuthing. Coomer mentions using a Zotac Z68 motherboard with on-board graphics. Since Zotac only make two motherboards using the Intel Z68 chipset and only one of them has on-board graphics (we reviewed the other one back in August), it seems a pretty safe bet that the motherboard Coomer's tweet refers to was the EMC-600SL from Habey, the US wing of a Chinese industrial PC component manufacturer. It's a brushed aluminium mini-ITX case that measures just 57mm (2.25") across its smallest dimension, and ships with a 120W PSU (and, strangely, a "12V 5A power adapter", which makes it sound like it can only actually supply a maximum of 60W). The components Coomer selected will fit nicely into this case; in particular, the choice of an on-board GPU neatly sidesteps the space requirements of a large, dedicated card. The trouble is the power that they require. Intel officially state the TDP (Thermal Design Power) of the i7-2600S is 65W. Add that to the GT 430's TDP of 49W and the Z68 chipset's TDP of 6.1W, and we're looking at a system that, running at full blast, will draw in the region of 120W even before we take into account the power required to run disk drives and fans. When I questioned Greg Coomer about this mismatch, he confirmed my suspicions: "No, that case's power supply was too puny," he told me, "I bought something custom". Unfortunately, he wasn't able to recall the actual details of the custom power solution he used back in November, but it's a safe bet that it involved something with a bit more oomph than that 12V 5A power adaptor. That case's size comes with other compromises, too. It has no drive bays open to the exterior, for instance, so an optical drive is out of the question. This truly is a box designed entirely for digitally-distributed games. In fact, given the clearance required for the chipset and CPU cooler, I would suspect that there's barely any room in there for a conventional hard drive at all. Coomer probably took advantage of the mSATA slot on the underside of the motherboard to add a tiny SSD to his build.